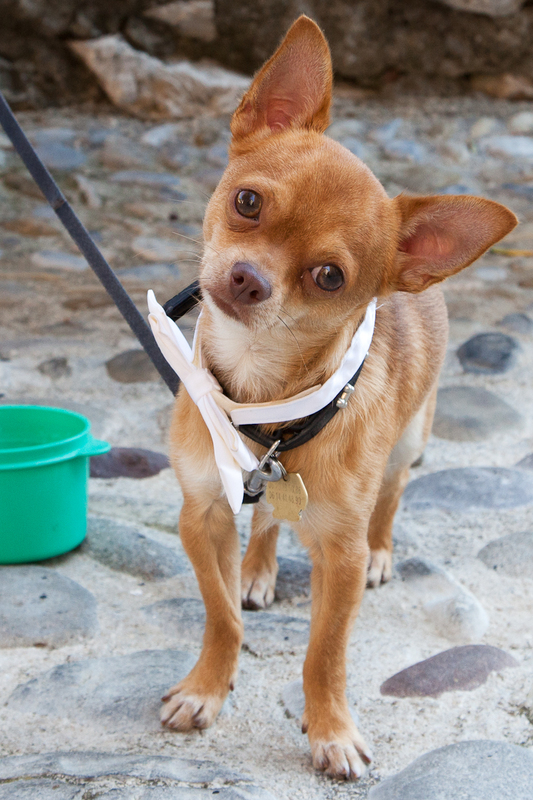 This adorable little Chihuahua was in Gorbio village recently for the Blessing of the Animals. 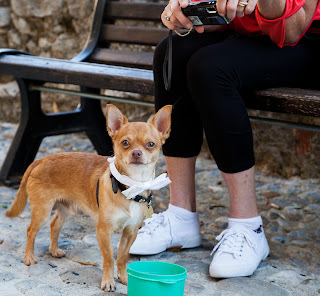 Dressed for the occasion in a bow-tie, he's called Google, is 18 months old and lives in nearby Roquebrune-Cap-Martin. As you can see, he attracts a lot of attention - here being photographed by both his owner and me! Oooo, cute name Jilly !!! My goodness, he is adorable. He seems to be posing for his photos. I saw that somewhere on Google. I have a dog Just like him. 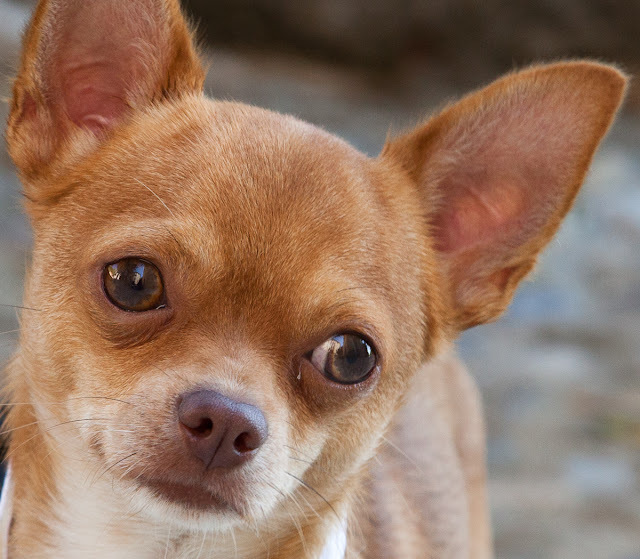 His name is Manolo. Where can i send u a picture of him so u can ser how alike they are.